I've seen many users having issues with Exchange server Backup with BE2010 when trying to restore individual e-mail messages. In my test lab I managed to carry out a successful backup and restore. During that process I have faced several issues and most of them are related to technical issues by not applying he latest updates. Apart from that, I also found Symantec Technical articles are not that helpful in certain places. In this article, I've used the information gathered from the Symantec forums and also EE forums. Thanks again for the EE Experts who are really helpful on other members technical issues. I'm glad to share the technical information with you all; I'm hoping that it will be useful for someone. I’ve setup 3 VM’s in HYPER-V. One is a Windows 2008 R2 DC with CA server. Both forest and domain functional levels are 2008. 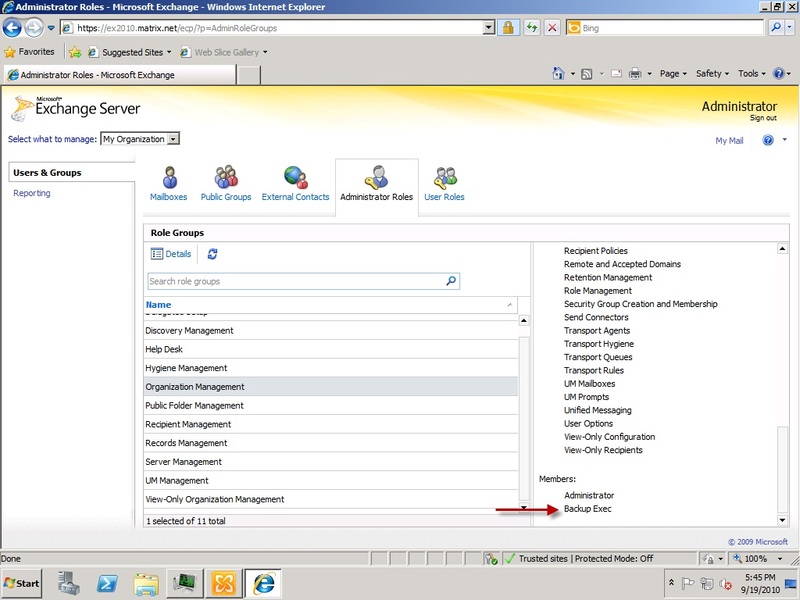 Exchange server 2010 on Windows 2008 R2 machine with typical setup method with all the updates. 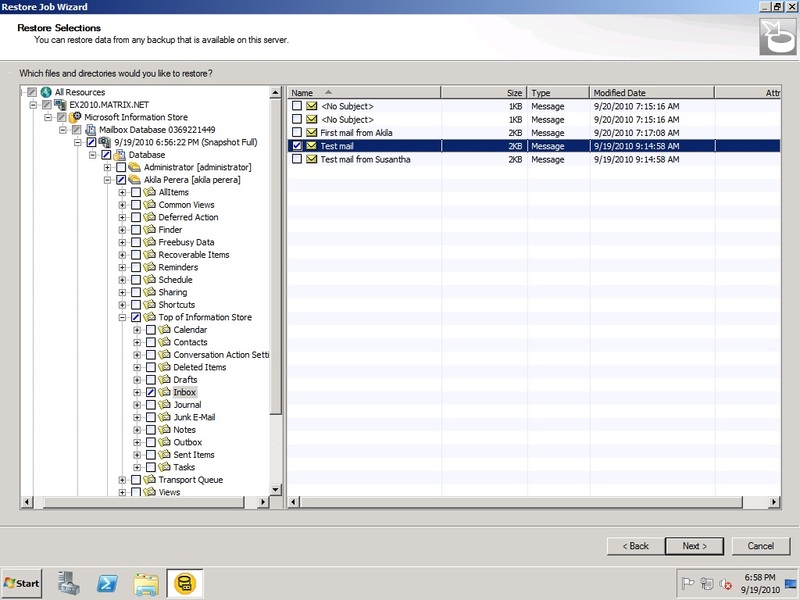 Backup Exec 2010 with SP1 on a Windows 2008 R2 machine with all the updates. 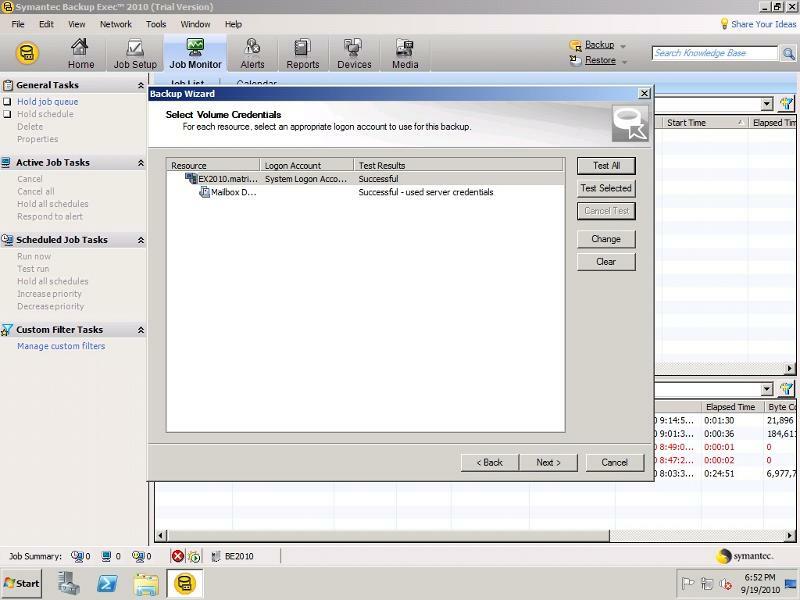 In the DC I’ve created a user account called BEAdmin and add that account to the domain admin group. Make sure that user account added to the local admin group of the Backup Exec server’s local admin group. After that I carried out the BE installation using that account. So that means BEAdmin have the total rights in the BE software. In the Exchange server, I make sure there is an e-mail account created and I send some sample e-mails to it. I verified that I can send and receive e-mails for that account. After that, I’ve added that user account to the Exchange Server’s Organization Management Group. This can be carried out by using the Role Based Access Control (RBAC) User Editor in EMC. You can find more information about it in this Symantec Support article. But I didn’t have much luck doing that, so I ended up using the Active Directory Users and Computers MMC. Below is a screenshot once you add the BEAdmin account to the Organization Management group. After that go ahead with the BE console and carry out an Exchange backup job with GRT option selected. 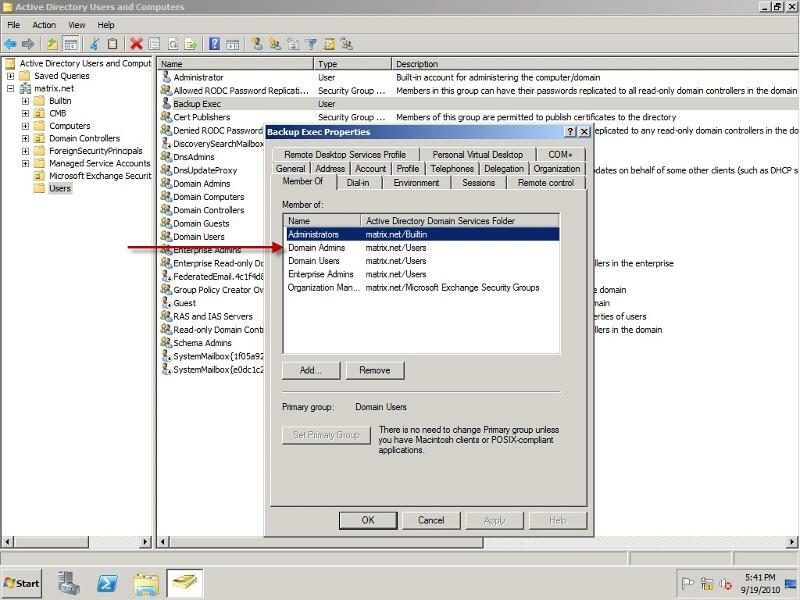 Make sure the give account has the proper credential to access the resources in the Exchange server side. Make sure you’ve selected the individual message restore option. After that, complete the Exchange backup. Not having the BEAdmin account in Exchange Organization Management Group will throw you various errors. So make sure that account ihas been added, as described above. As far as I'm concerned, those are the only steps needed to make a successful backup and individual mail restore. I’m by no means an Exchange expert or Backup Exec expert... so if anyone has additional information to add for this, please be good enough to post commants. Thanks!